Sweden is a great destination to launch your career, post study, provided you are to some extend acquainted with at least basic conversational Swedish. Though a sizeable number of Swedish population speak English and majority of companies use English as their official language, if you aren’t good at Swedish language, then that much deserved first Swedish job can remain all elusive. Then how can it be learnt, here are few tips that can help. It wouldn’t be a bad idea to start your Swedish language learning process, as soon as you receive your university offer, rather than wait for the classes to start, as an early start would give the luxury of time against someone, who is learning it at the eleventh hour. Start with basic Swedish words and phrases, general salutations, greetings like Good morning, good evening, thank you, good bye etc, these are small but firm steps that can help you strike a conversation in Swedish with some level of confidence. Never waste any opportunity to try out your newly acquired skills it can be student get together, party you are invited to or a casual chat with an ice cream vendor these are all your preliminary language tests so make the most out of it. The Internet has revolutionized the whole manner in which languages are learnt, with unlimited excess to language resources. What better way to start your Swedish language study with http://www.linguanet-worldwide.org/ a World Wide search engine for language learning resources that offers an extensive directory of resources which are searchable based on a variety of criteria. The all famous https://www.duolingo.com/course/sv/en/Learn-Swedish-Online has come out with a Swedish course that teaches Swedish in a fun way that will help you with free language learning lessons, courses, learning activities etc. Stockholm University: ‘Kom loss på svenska‘, a beginner’s course. 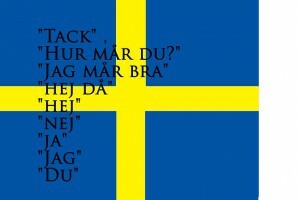 Loecsen: pronunciation of common Swedish phrases. 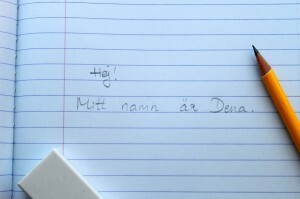 Swedish Flashcards: practice with words, sentences and texts. Språkbanken: a collection of links to dictionaries and concordances of Swedish literature, maintained by the University of Gothenburg. LEXIN: a contextual dictionary that translates between Swedish and 18 other languages. Interglot: a multilingual dictionary that translates between six languages, including Swedish, and provides verb conjugation help. Don’t be amazed with the acronym, SFI stands for Swedish for immigrants, which is a free system of Swedish course for both beginners and advanced learners, open for all Swedish residents. These programs are offered free of cost across Sweden, in an attempt to help immigrants learn, at least basic Swedish, towards helping them in furthering studies and for seeking employment. Most of the universities in Sweden offer Swedish course, which are run throughout the year. These programs are aimed at giving foreign students, decent grasp over Swedish language, at least of rudimentary level. Make it count, as majority of them are absolutely free, and even if there is a charge, it is going to be a nominal one. However hard you might try, it is not going to work if you do not speak the language. So get rid of your mental block and start speaking in Swedish with your room mate or a neighbor. occasionally you might be tempted to use English in your conversation, but remind yourself that Learning Swedish is more of a mission now, one that will pay you rich dividend in near future. This entry was posted in Studying Swedish and tagged Studying Swedish on March 16, 2016 by Ronnie Fredrick Thimothy.